Staying in North San Diego isn't for everyone. Let's face it, the main attractions are 25 miles away down a busy highway with traffic that moves so slow during commute time that you'd wish you'd never left the area around the hotel. But that's the point - staying in North County is its own destination, a part of San Diego that feels like a time warp back to the 60's with surfers, woodies, and beaches, lots of beaches. Of course it's also home to Legoland, the curse of every parent with kids under ten. If you're thinking of staying up north and commuting daily to the main attractions downtown, think twice. But if you simply want a beach vacation, a place to kick back and enjoy the friendly local vibe, then you could do no better. 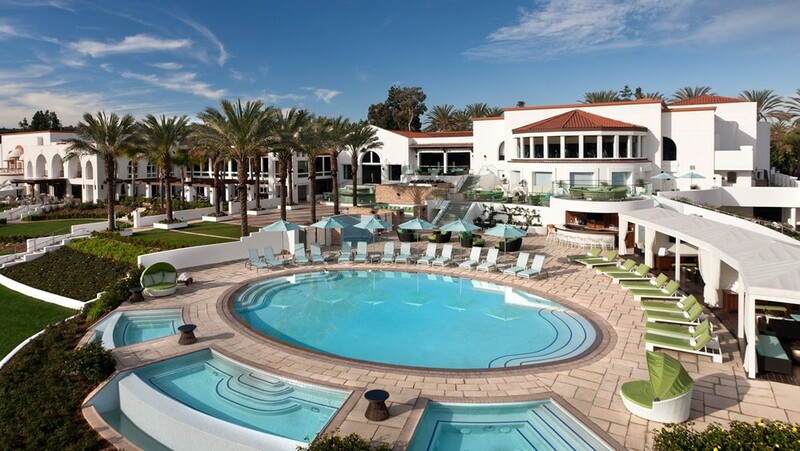 Once the backdrop for Hollywood types like Bing Crosby, Jimmy Durante, and Lucille Ball, L'Auberge Del Mar Resort Spa has aged beautifully and gracefully. 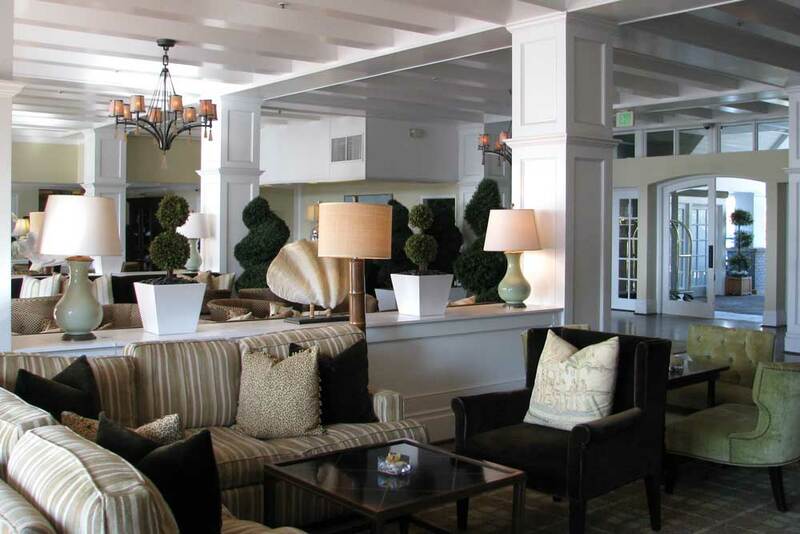 Situated in the heart of downtown Del Mar a few blocks from the beach, this boutique hotel offers 120 guest rooms, some with partial ocean views, and all of them beautifully decorated in an East Coast Hampton's sort of way. Some rooms with fireplaces and private balconies, all have gorgeous spa-like baths, and the beach is a short walk down a landscaped footpath. Whether you already appreciate the finer things in life or just want to indulge for a week, L'Aberge Del Mar Resort Spa will leave you so satisfied you won't ever want to leave. PRO'S: Indulgent hotel close to the beach. CON'S: Del Mar can get really busy in the summer. WALLY SAYS: Romantic setting, beautiful decorating, perfect for honeymoons or anniversaries. 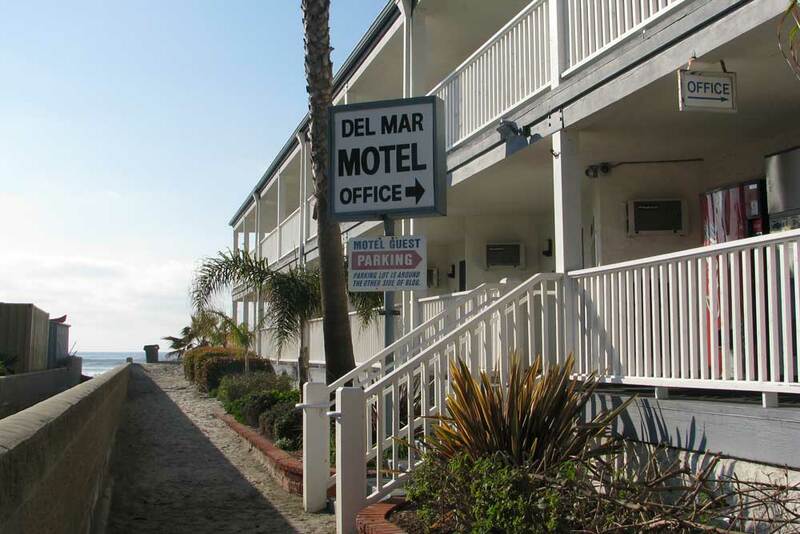 So check this out - an old motel right on the beach in Del Mar, looking much like it did when it was first opened in 1946. Don't believe anyone who tries to convince you that this is some quaint boutique hotel - what it is, what it has always been is a MOTEL on the beach, plain and simple. The rooms were renovated in 2002 but it might as well have been 1982. You have to come here with the right 'tude, the idea that you're staying right on the beach. Grab a beach chair and your beach gear at the little rental shack in the driveway and you're set for the day. Sit back and relax while the restaurants around you fill up with tourists all trying to get a look at the ocean, the ocean you can jump into at any time because that's your room right there. PRO'S: It's right on the beach. In Del Mar. Isn't that enough? CON'S: Holy crap, it sounds like that train is going to run right through my room! WALLY SAYS: If you want a fancy room, this ain't it, but wow, what a beach. Encinitas is a real beach town that hasn't caved in to the commercialism and tourism of a lot of Southern California. You'll find an old movie theater there, mom and pop restaurants, even a concession stand on the beach selling corn dogs and popsicles. 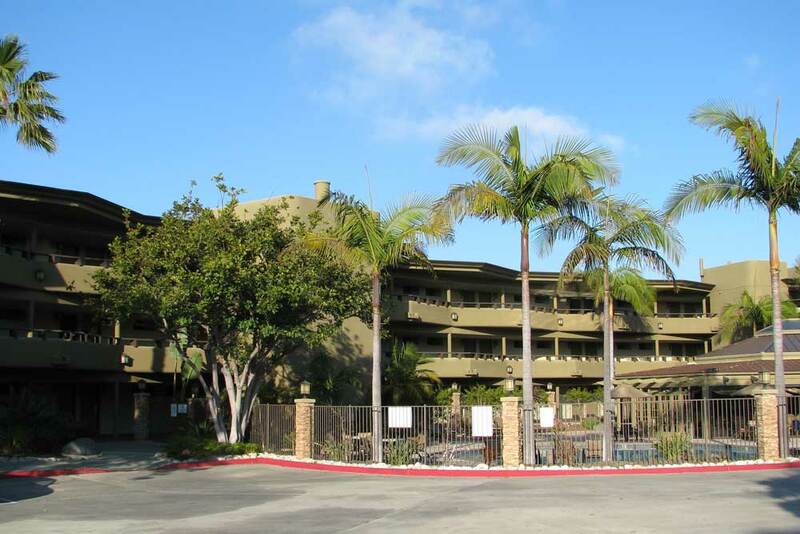 High on a bluff overlooking Moonlight Beach is the Best Western Encinitas Inn and Suites, offering dazzling ocean views in a moderate hotel package. The hotel features 94 oversized rooms, 29 of them with kitchenettes, with balconies that open to the fresh ocean breeze. Moonlight Beach is a short 3 block walk away, and the Coaster train station is right down the street if you want to party downtown without worrying about going home with a DUI. PRO'S: You will LOVE Encinitas, my favorite beach town. CON'S: Web photos make this look like a 5 star resort but it's really a 3 star hotel. 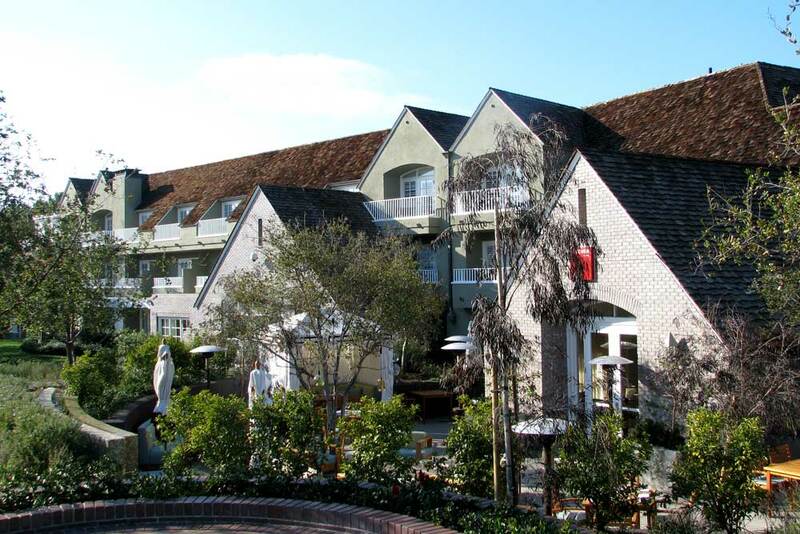 WALLY SAYS: I love Encinitas so I love this hotel if you want a place close to the beach and a cool beach town. 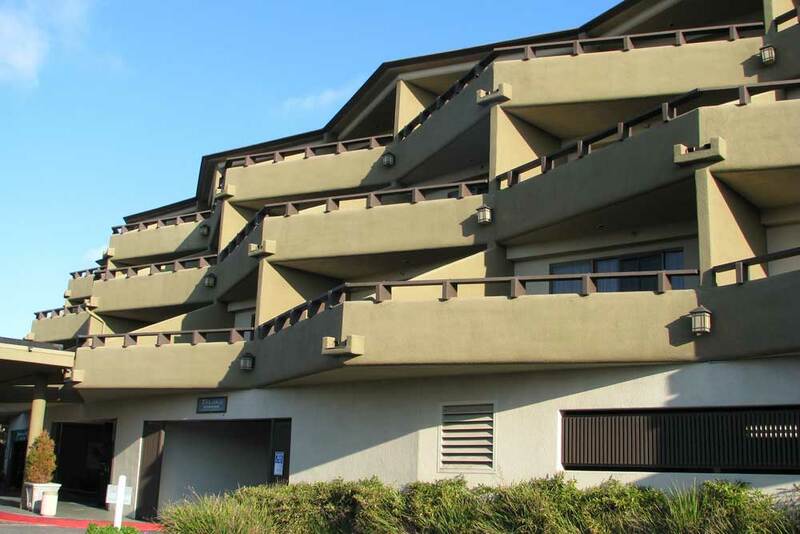 It's location on Highway 101 across the street from the ocean commands breathtaking panoramic views from 80% of its rooms. You'll love a peaceful walk on the beach to start the day, or sipping a cool beverage from one of the many sun chairs by the pool to watch the sunset where the wait staff will bring you a cocktail, the kids an Otterpop - everyone's happy! Rooms are large and spacious and decorated tastefully with a breakfast buffet that features made to order omelets and eggs, bacon, waffles, the works. There's even a coin operated washer and dryer on site so you can get all that pesky sand out of your kids pockets and get everyone all cleaned up before dinner at one of the nearby restaurants. PRO'S: Right across the street from a great local beach. CON'S: See those train tracks nearby? Yes, they still use them. WALLY SAYS: Super close to Legoland but far enough away so you get a vacation, too. Even the most dedicated parent must cringe when the kids all scream they want to go to Legoland. 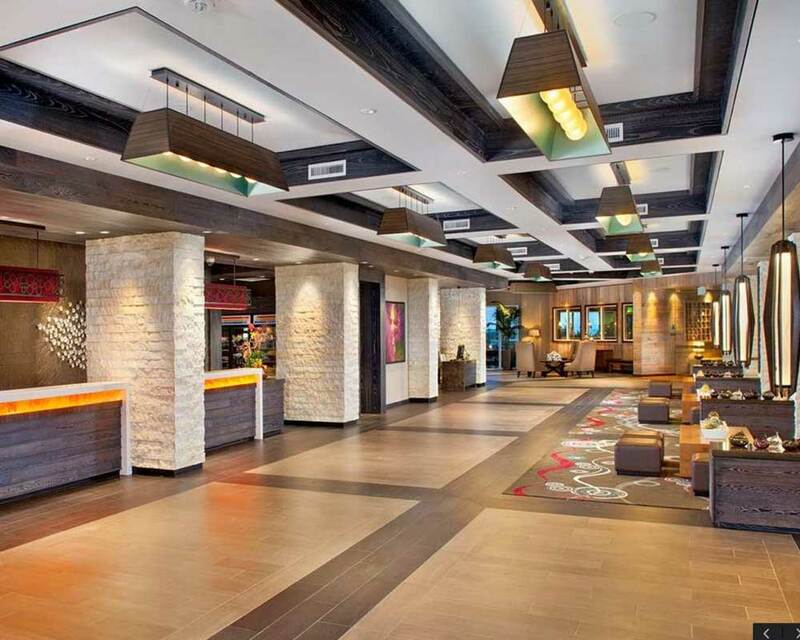 I mean, come on, you want to come to San Diego for some relaxation time, a bit of pampering and you're thinking a hotel with a private entrance to Legoland can't be any good. But put your fears away as the Sheraton Carlsbad Resort and Spa delivers the goods to stressed out parents while keeping the kids happy. So here's what you get - a nearly new hotel with a full blown spa nestled up to an insanely challenging golf course. The hotel is more luxurious than the theme park location suggests with a nice pool and great rooms. Send the kids to Legoland with Dad, you go to the spa. you deserve it. These guys are really smart. 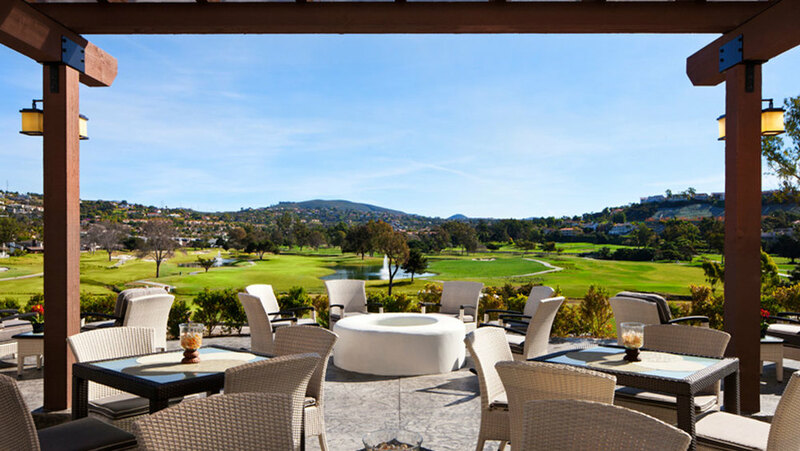 Before Legoland the La Costa Resort was about as much fun as a business trip but a major refurbishing and change of attitude has made this more family friendly while still remaining elegant and luxurious. Sure, there are water slides and water play area for the young kids, but there is also a 21 and over Edge pool, perfect for those smart enough to leave their small fry at the Kidtopia Club. Of course, full spa and plenty of dining and refreshment options. It's so good that you'll totolly forget that you came to Carlsbad to go to Legoland. What? We have to go to Legoland? Nearby beaches are locals favorites and there are plenty of great dining options as well. PRO'S: High end resort with no compromises. CON'S: No ocean view though the beach is nearby. 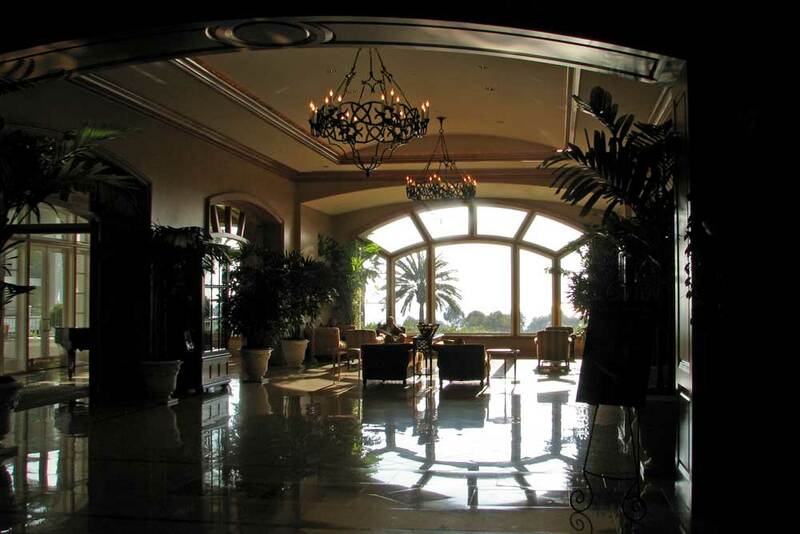 WALLY SAYS: The most elegant resort in North County, perfect spot after a long day at Legoland. 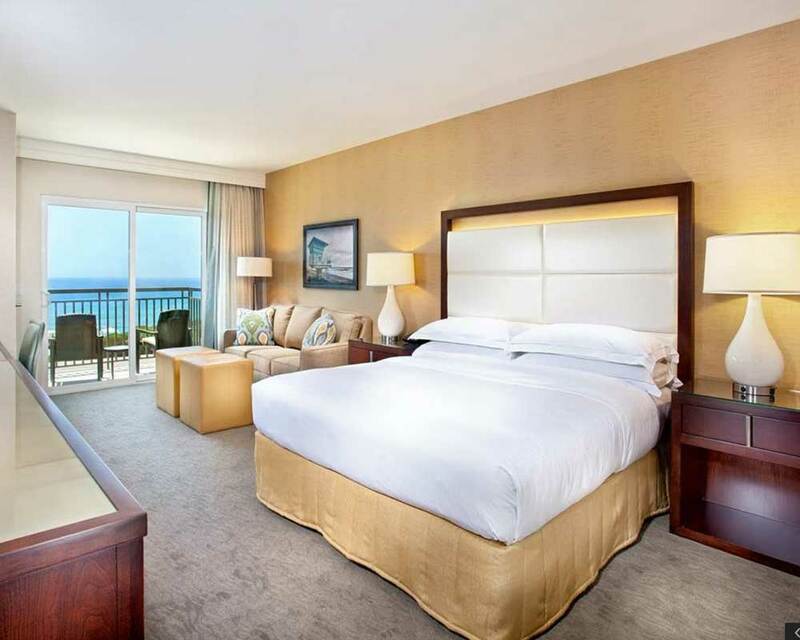 Right across from the ocean is Cape Rey by Hilton, a brand new upscale hotel that plays more like an upscale boutique than a traditional Hilton. Set in a residential neighborhood, Cape Rey is a welcome addition to the area, blending right in with the charm of Ponto Beach across the street, a beach favored by locals for its lack of crowds on even the busiest summer day. The focus at Cape Rey is on guest adventures, whether it's helping set you up for a day on the sand or an adventure on a hot air balloon. Maybe it's a hyper active concierge program but it shows that they want to be more than a place to crash at night. Spa, restaurants, all the amenities you perhaps wouldn't expect but will be delighted by. PRO'S: Typically really good rates for a top notch beach hotel. CON'S: While a very solid 4 star hotel it's still not a resort so set your expectations correctly. WALLY SAYS: A hidden gem, Cape Rey is a great location for a beach hotel that's away from the crowds. 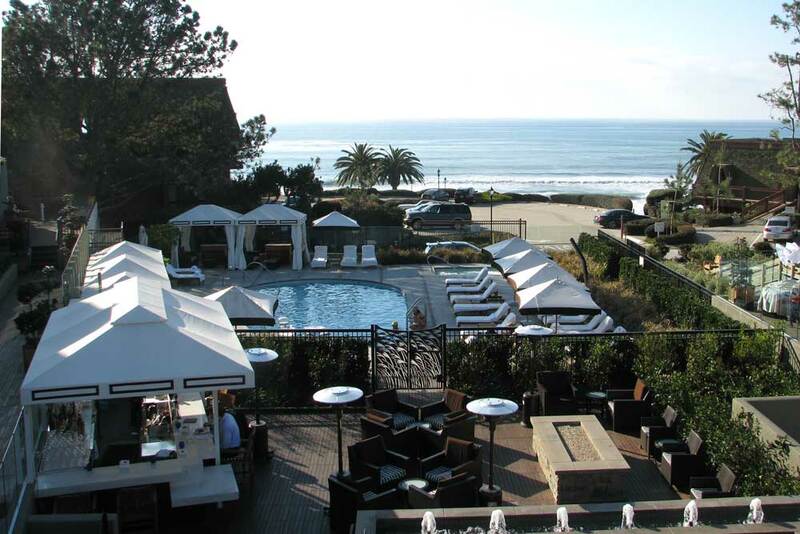 While still a nice property, the Park Hyatt Aviara is no Four Seasons Resort. That's too bad because it used to actually be a Four Seasons, a true 5 star resort and at one time the only hotel in San Diego to earn that rating. When Hyatt took over they took the entire hotel down a few notches, making it less luxurious but also much more affordable. And that's good news for those of you looking for a high end experience at a standard hotel price. Four Seasons fans will notice the difference but if you normally stay at a Marriott this is a major upgrade with its fancy furnishings and lushly landscaped grounds. 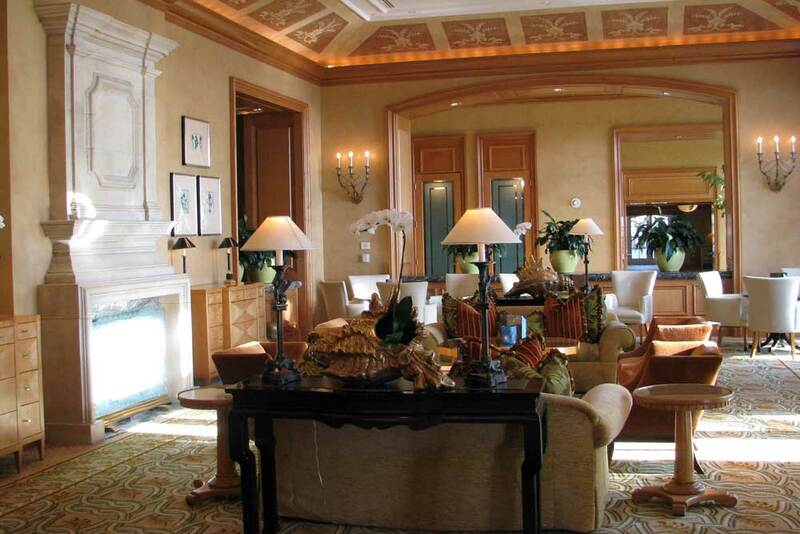 Great rooms and service and an excellent golf course nearby. PRO'S: High end resort with fancy trimmings. CON'S: Not as kid friendly as La Costa Resort down the way - maybe that's OK, right? WALLY SAYS: Though I miss the Four Seasons the Park Hyatt can still make me feel like Jed Clampet coming to Beverly Hills for the first time. This either could be the coolest thing you've ever done as a parent or the worst idea ever! 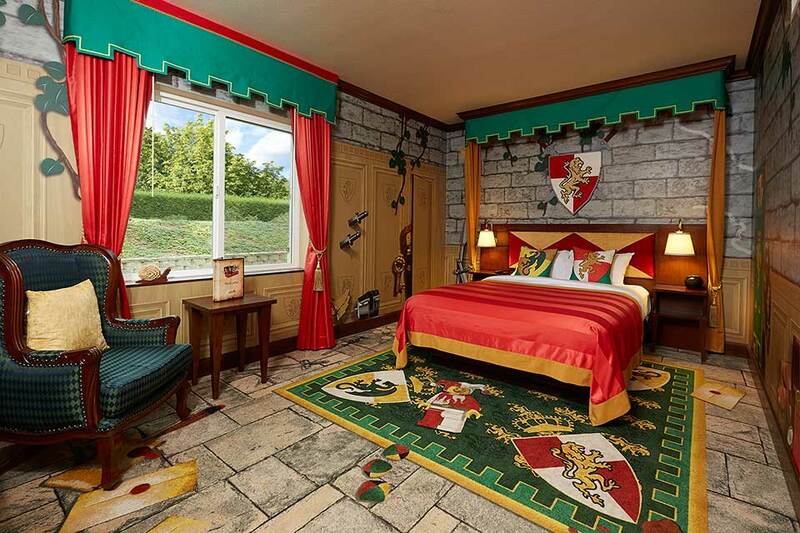 Legoland is aimed at the 10 and under crowd and the hotel attached to the park is aimed at their parents who can't say No. 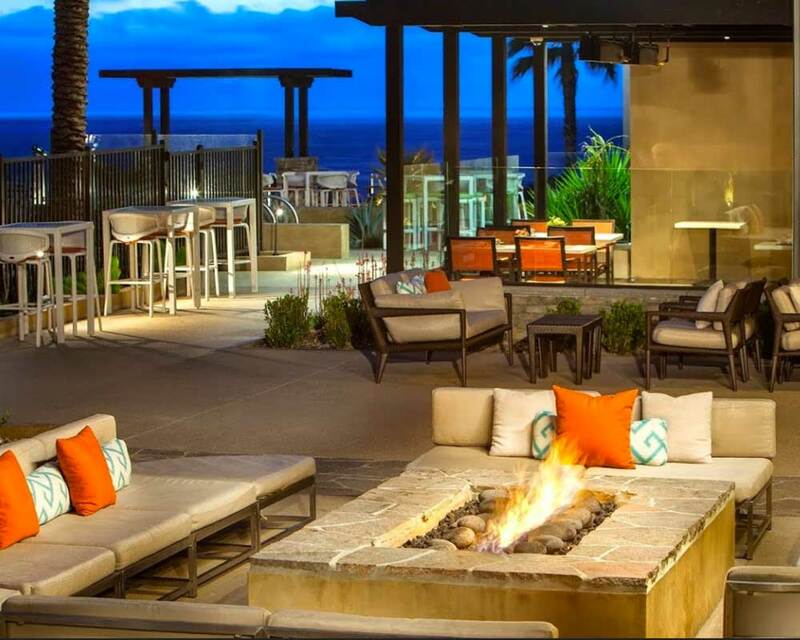 It doesn't even matter if I recommend it or not because you already know if this is where you will be staying for your trip to San Diego. Really, you know, don't you? While I mock Legoland a bit know that it's because my kids are past that Lego stage and I'm done with stepping on a Lego in the middle of the night when I get up to go to the bathroom. But maybe the idea of playing pirates with the kids, jumping on the beds and being surrounded nonstop by Lego people is appealing. Your kids will love you for it. PRO'S: You'll be creating long lasting memories. CON'S: You might be creating long lasting memories of out of control kids. WALLY SAYS: Where's the bar?